A beautiful rainbow colour technique from Lucie Doughty for Paul Mitchell! STARTING LEVEL: Level 10 with previous semi-permanent tones. HAIR COLOR PREP: POP XGTM Reducer + water. Processed for 45 minutes. 1. Firstly begin sectioning with a small, skewed square section in the fringe. From that also square, take a larger, off-center cat-eye segment across the top of the head. Clip to secure. Lastly, create a small sliver section on the left side of the cat-eye. Keep these 3 sections clipped up and away. 2. Beginning in the back nape, apply Formula 1 to the first 2-3″ of the base. Leave about 2-3″ of natural white in the mids and then apply Formula 2 though the ends. Continue this method throughout the entire head shape underneath your top sections. 3. Tip: When creating this 3-part application, be sure to softly feather your formulas into the natural white hair left in the middle. This will help avoid any strong lines and look more seamless. Cover each section with plastic film to avoid color transfer. 4. Release the small sliver section on the top left side of the head. Furthermore apply Formula 3 base through ends to this section. 5. As a result release the small, front square section and apply Formula 4 base through ends. 6. Lastly, release the top cat-eye segment. Proceed by applyigng Formula 5 to the first 1-2″ of the base. Next, leave about 1″ of natural white out in the mids and apply Formula 6 through the mids and ends. Be sure to softly feather the color into the natural white so to create a seamless blend. 7. To conclude,allow to sit for 30 minutes and then rinse well. Shampoo with Paul Mitchell® Color Protect® Shampoo and condition with The Detangler®. At Colour World UK we also believe in colourists being equally important as hairdressers. 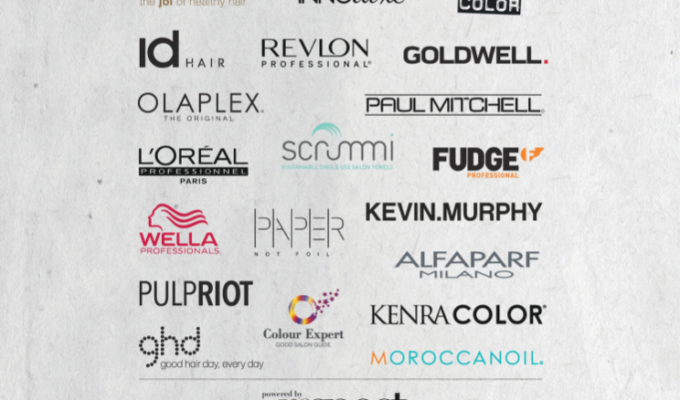 Colourists do infact play a major role when it comes to the success of a salon business! Clients deserve excellent colour services. Embracing the importance of a great colour consultation through to end result therefore is an important aspect each salon should have. We salute manufacturers and brands offering a great product innovation which enable colour technicians to explore their creativity and offer a bespoke colour to every client. Furthermore,we offer colour conversation and inspiration for you to browse, and respect colour-focused education and events from what’s on and where, to our own Colour World UK event 2018 which support our industry and promise to do our best to bring you news and information to help you succeed.